Cloud computing technologies and services have evolved as fast as they have spread amongst client organisations. However, contracts regulating the provision of cloud computing services have not evolved at the same pace. 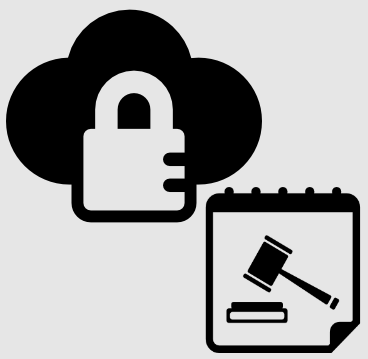 The contracts are often offered by cloud providers in a standard and non-negotiable form, which may make it difficult for clients, whether they are private companies or public authorities, and which typically cover the role of data controllers under EU law, to discharge their duties towards data subjects and local or supranational Data Protection Authorities. This document provides some basic guidelines to cloud clients when entering a cloud computing contract. A series of recurrent contractual issues have been identified and addressed in a short and comprehensive way from the data protection law standpoint. References to other checklists and standards tackling issues critical for cloud services are also provided when relevant. In developing the document, the provisions of Regulation (EU) 2016/679 (“GDPR” or simply “Regulation”), which entered into force on 5 May 2016 and will start applying from 2018, were taken into account and incorporated, where relevant, in the text of the document. The right to data portability Is surely enforceable against private data controllers, whereas according to Recital (68) of the GDPR “by its very nature, that right should not be exercised against controllers processing personal data in the exercise of their public duties”. Data portability however depends on the availability of standards which lead to interoperability. Therefore, SMEs should ensure that the CSP they choose uses interoperability standards that would make the data portable at the request of the data subjects; as clarified above, the latter obligation does not apply to PAs processing personal data in the cloud in the exercise of their public duties. Focus on whether and how the CSP ensures data portability (for moving data between systems) and interoperability (when upgrading software or when migrating between two competing systems). Ensuring the data subject’s right to data portability is mandatory for SMEs when the conditions contained in Article 20 of the GDPR are met. Cloud computing solutions are offered in a wide variety of models; they change considerably from one CSP to another. As already specified above, the guidelines contained herein deal with cloud computing contracts from a general perspective, with particular emphasis on CSCs being SMEs or public authorities. The guidelines identify, at high level, some of the clauses that require great attention by the CSCs.